The Clean & Dry team also specialises in all type of upholstery cleaning with over ten years experience in the industry. 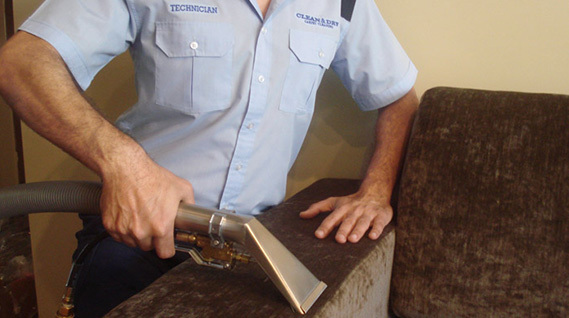 We have the skills and the best resources to ensure you satisfaction with your upholstery cleaning needs. The Clean & Dry cleaning system has a wide range of stain remover to ensure the best possible outcome for your upholstery. We make special consideration for each individual’s piece of furniture to determine the most effective treatment. Such characteristics as color fastness, fabric stability, age and most others can have a dramatic effect on the method used. It is extremely easy to damage the fabric of your Upholstery, but with the wide range of stain removers and professional technicians at Clean & Dry you can once again restore the beauty, vitality and original freshness of all your upholstery furniture. Clean & Dry Professional Upholstery cleaning means no mess, no headaches and insures that your upholstery won’t be damaged by harsh chemicals. All our solvents are Citrus Based and environmentally friendly, which means its safe for your Family and Pets. Clean & Dry cleaning systems leaves fabrics drier than other cleaning systems. Your upholstery will usually be ready for use in 2- 4 hours after cleaning. The Importance of Protecting Your Upholstery over time, the upholstery protector which comes with most new furniture wears off. In order to preserve the colour, beauty and life of your upholstery it is important re-apply the protection after a few months. A re-application of Scotch Guard protection after your regular cleanings will help increase the time between cleanings and keep your furniture cleaner, longer. We exercise the utmost care and professionalism to make sure that you, our valued customer, are always satisfied. We promise you will be delighted with the new look of your upholstered furniture. 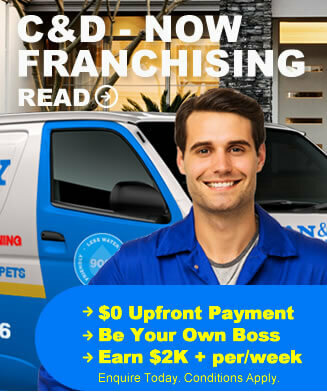 We invite you to try our services and become one of our many satisfied customers. Call Clean & Dry Cleaning Group today and one of our friendly staff will help you with all of your questions and bookings on 1300 441 636. View our cleaning gallery to see real jobs completed by Clean and Dry Cleaning Group technicians.